Description: The Irish Farriery Authority Ltd is the umbrella body for Farriery in Ireland. 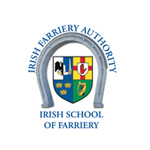 It is responsible for: The Irish School of Farriery – Provider of farriery training in Ireland and the Irish Farriery Register – Database of farriers practicing in Ireland. Headquarters: Racing Academy and Centre of Education (RACE) Campus, Kildare Town, Co. Kildare.